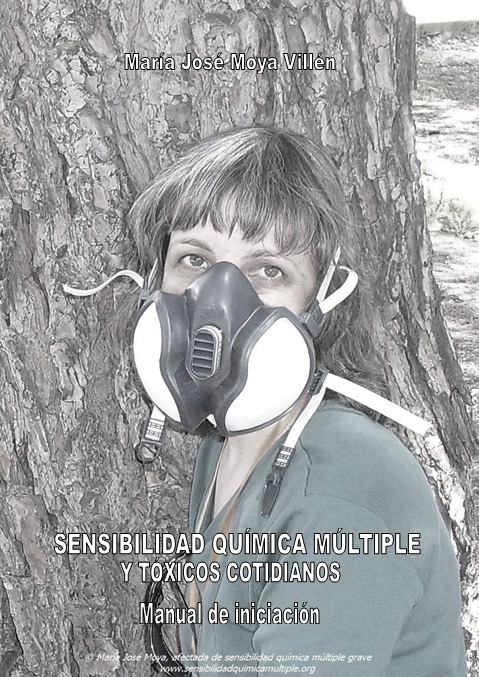 Spain continues to take steps for Multiple Chemical Sensitivity, the disease of the "bubble people"
In 2014 the Ministry of Health included MCS in the 9th edition of the International Classification of Diseases (ICD), which until December 31st 2015 was the reference system for classifying and coding diagnoses in the health system. In this way Spain joined the list of countries that recognize the illness. This had been done before by Germany (2000), Austria (2001), Japan (2009), Switzerland (2010) and Denmark (2012), and later Finland (2014). Until that moment, Spain had not classified MCS, and therefore it did not exist from an administrative point of view. This involved "a complete defencelessness situation" for the sufferers, as stated in the Explanatory Memorandum to the Non Law Proposition that originated the inclusion of MCS in the ICD. 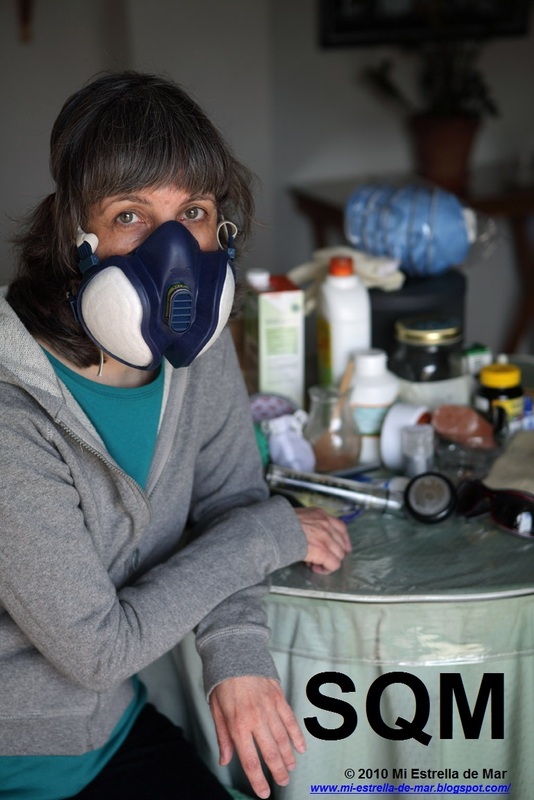 Spain has incorporated Multiple Chemical Sensitivity (MCS) to its new International Classification of Diseases or ICD, released on January 1st 2016 under the name of ICD-10-ES. 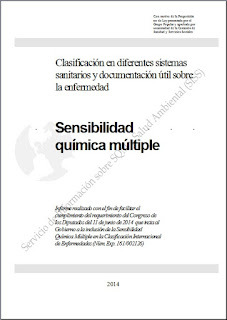 Spain has thus consolidated its official recognition of the disease (expressed in 2014 through its explicit desire to include it in the existing classification at the time); and reaffirms its interest in moving forward for official protection of sufferers. 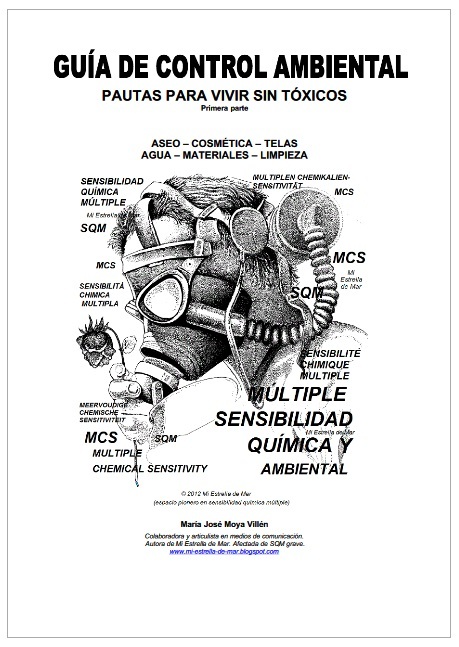 The procedures have been carried out by MP María del Carmen Quintanilla, member of Popular Party (PP) in collaboration with the Multiple Chemical Sensitivity and Environmental Health Information Service (SISS). 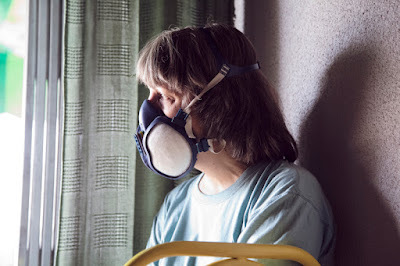 "MCS is a tough disease —the MP points out— and limits enormously the quality of life of those affected by it, since it is characterized by the loss of tolerance to many synthetic substances present everywhere nowadays: food, tap water, clothing, cosmetics, paint, air fresheners, personal care products, cleaning products...". 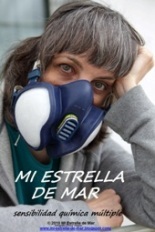 María José Moya, head of the SISS and severely affected by MCS, corroborates this fact: "Indeed. It’s not like an allergy, where the individual can avoid what causes the problem since this is caused by only one substance". 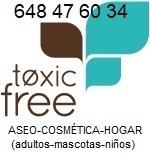 When asked about this matter, Dr. Adrián Martínez, president of the Association for the Study of Food and Environmental intolerances of Alicante, stresses that "although there are different degrees of MCS, and besides the fact that some symptoms can vary among individuals depending on their body toxic loads, their previous health state and the chemical environment in which they live, sufferers often need to wear a mask if they go out since even low levels of exposure can affect them". 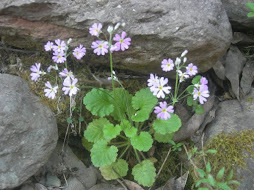 "Avoidance is vital —continues María José Moya—, because once MCS appears, the neuronal excitability that it causes increases reactivity, and this again reinforces excitability. It is a vicious cycle that tends to increase the number of intolerances, and at the same time to expand into other areas besides the 'synthetic'. 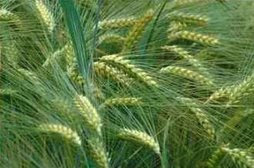 For example, issues with gluten, lactose or natural irritating ’scents’ are common". The Popular MP provides figures on the problem: "In Spain it is estimated that MCS affects between 0.5% and 1% of the population". "The most serious cases —warns Dr. Martínez— are forced to live in isolation at home, having to use extreme preventive measures in order to avoid contact with whatever harms them. However, instead of receiving support from their environment with such a complicated situation, they often encounter suspicion and lack of cooperation as result of the absence of empathy and understanding of the disease from those who act in such way". MCS affects the central nervous system, which frequently produces neurocognitive alterations, migraines, dizziness, chronic fatigue and sensorineural intolerance (for example, to bright light). In addition to this, other systems such as respiratory, gastrointestinal or the heart can suffer dysfunctions. "Incorporating MCS to the Spanish ICD has been a painstaking puzzle —the head of the SISS admits—. Atypical circumstances on the road plus an overlap of dates affecting the process, needed to be overcome in two phases with the help of Maria del Carmen Quintanilla: the first was performed in 2013-2014 to include the condition in the reference ICD at the time (ICD-9-CM); and the second one was carried out in 2014-2016, to introduce MCS into the new ICD that the Ministry had scheduled to introduce from January 1st 2016 (ICD-10-ES). This step has just been completed". The process began in April 2013, through a Non Law Proposition (NLP) for “the inclusion" of MCS in the Spanish ICD. The proposal was submitted by María del Carmen Quintanilla, following a request made by Carlos de Prada (Fodesam executive director and UN Global 500 award), with the collaboration of the SISS. During the procedure, given that the period for changes to the ICD ended before the NLP processing, the Ministry collaborated by bringing forward what the NLP draft requested for (the inclusion of MCS in the classification in force at that time — ICD 9-CM). Once this was achieved, the NLP was amended to cover the potential legal void that would open with the following change of ICD in 2016, which could leave MCS outside the classification again. Therefore, the final text adopted unanimously in June 2014 urged to include MCS "in the following" ICD, as the Government pointed out later: "provide this condition the same degree of recognition enjoyed in other countries". The process has recently come to an end, after the deadline to finalize and publish the new ICD coincided with an election period, a general election and the transition to a brief term in office. After that, MCS is already included in the ICD-10-ES, and the automatic incorporation to future updates is guaranteed. Regarding ICD-10-ES the Ministry explains that now “it is the reference classification for clinical coding and recording of morbidity in Spain, replacing the ICD-9-CM", which until now had been occupying this place from 1989 until December 31st 2015 (twenty five years altogether). "There is still much to be done, no doubt —points out María Jose Moya—, but the inclusion of MCS in the ICD (which for those who do not know how a health system works may seem like an unimportant theoretical step) was the door which needed open to move forward". This is corroborated by the fact that after this step was taken and spread in the media, the first positive consequences have followed in just 18 months under this favorable framework. It is no coincidence that several MCS sufferers state the fact that doctors treat them better and show more interest in the condition; or the institutional awakening and first moves taking place in research, public training for physicians within the Public Health System, information diffusion in fields such as Pharmacy, and the comprehensive protection policies for these patients (in particular in Tarragona, proposed by the PSC, and in Terrassa, by Terrassa en Comú, both initiatives passed unanimously). In addition, a regional government has been requested for the first time (on initiative of PP in Asturias) to create a "specific program to support those affected by MCS". Finally, Catalonia has announced that "they will draw up a care plan" for the health sector. "We are talking about realities that had not happened until now —as mentioned by the SISS—, which shows that it is not always a matter of unwillingness from different sectors but also the fact that the Administration needs to create an appropriate framework. 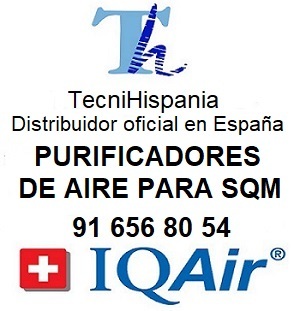 Thanks to the inclusion of MCS in the Spanish ICD, great progress have been made in a very short time". The European Parliament remarked in 2008 that, along with the "problematic developments in environmental health, new diseases or syndromes have appeared in recent years, such as multiple chemical hypersensitivity". In addition, it was reported that "the number of people who become ill because of environmental factors continues rising". For this reason, “the European Commission was urged, in the framework of legislative revisions, not to weaken existing legislation under pressure from interest groups or regional or international organizations". Regarding research, Belpomme et al. (2015) and Kumamoto University (2016) have just published relevant results in the field of biomarkers. In addition, for some years now, interesting lines stress mainly the neurological, genetic and immunological evidence (in the stated order); and as for the causes, everyday toxics and work environment. Not in vain, new techniques used to detect what was before overlooked, are helping to achieve advances; while a better knowledge about MCS helps build more accurate hypotheses, approaches, case selection, evaluation processes, connections and interpretation of results. The same applies to researches on the health consequences of low doses of toxic substances present in the daily life of our society (which is of great interest for MCS since, though they don’t deal with the condition itself, they indirectly corroborate it). Amongst these, those researches on exposome stand out (‘exposome’ analyzes the set of exposures of an individual in a lifetime, on the basis that those exposures causing chronic illnesses often have a high latency period, of even decades); as well as the European project Denamic (whose results, which will be presented to the European Union and WHO in order for them to take action, warn about “low dose” toxic neurotoxicity). Maria Jose Moya (Multiple Chemical Sensitivity and Environmental Health Information Service —SISS—, documentalist, severe MCS sufferer). I hope this means this progress will be spreading throughout the world, helping those us whose lives have been changed forever by MCS. Isolation along with little compassion make for a very lonely and terrible lifestyle. I wish I could join a team to work in this capacity - to help. Hola ponte en contacto yo puedo ayudarte con el ordenador. tu me envias links puedo traducir y postearlo ..
gracias por que yo tengo algo de alergia a quimicos no estoy diagnosticada pero siempre que busco algo me sale tu web te sigo en Facebook y me compre las mascarilas que anuncias y me van de fabula para salir de casa y para visitas perfumadas :D. Mucho animo abrazos. Hola Valdesca, se me había pasado dar paso a tu comentario, ¡discúlpame!. Muchísimas gracias por tu generosidad. De lo que me propones ayudar, postear no sería. Lo que necesito es gente con un buen nivel de inglés-castellano-inglés (sobretodo) o francés, que se comprometiera de vez en cuando a hacer una traducción seria sobre alguna cosa que le pudier apasar de vez en cuando, con el fin de aliviarme a mí, y a algún colaborador, de esta carga. Más que nada, porque hay muchas cosas que tengo que son interesantes de publicar, pero ponerse a traducir de manera habitual, es bastante agotador. Si me puedes comentar qué nivel tienes de idiomas, qué tipo de estudios al respecto (por ejemplo, ¿por haberlos dado en la Universidad, o en la EOI...? ), cuál/cuáles podrías traducir... Disculpa si quizás son preguntas demasiado directas, pero es que hay gente con muy buena intención que me han hecho ofertas en el pasado, que les agradecía mucho, pero luego resultó que no tenían un nivel adecuado, o desvirtuaban el texto haciendo "interpretaciones", no eran cuidadosos, metían errores, etc. En fin, que al final me era más complicado y me llevaba más tiempo tener que corregirlo o buscar a un nuevo traductor/a, que hacerlo yo de nuevo desde cero. Por tanto, el alivio de la carga de trabajo con las traducciones, al final no era tal, sino justo lo contrario. De ahí mis preguntas, si no te molestan. Muchísimas gracias por tus amables palabras hacia mi espacio y por decirme que te ha ayudado y ayuda en tu problema. ¡No sabes la alegría que da saber que lo que se hace le es útil a la gente!. Así que te agradezco muchísimo que te hayas tomado la molestia de contárnoslo (además, por supuesto, del ofrecimiento en el tema de los idiomas que nos has hecho). evidentemente no soy Valdesca pero soy perfectamente bilingüe francés - castellano y vice-versa ya que nací en la parte francesa de Suiza y cursé allí mis estudios. He trabajado como administrativa con idiomas durante más de 10 años además de haberme especializado en traducción en la Universidad de Lausana. Nunca he hecho una traducción que no fuera "seria" y me han buscado personas del mundo artístico en general para que les tradujera sus textos, ya que siempre intento ser respetuosa no solo con lo que dice el texto si no también con la forma. Traducir no es un mero ejercicio de pasar de un idioma a otro, para hacerlo bien se necesita un conocimiento profundo de la cultura de ambos idiomas y de su idiosincrasia. Hola Doudou (África), estoy completamente de acuerdo en lo que comentas y cómo lo explicas. ¡Gracias por comentarnos tu trayectoria en este tema!. Se agradece la confianza. Mira, aunque los textos que manejo están mayoritariamente en inglés (y algunos en italiano), dado que para traducir del francés no tenemos a nadie, si ves que te fuera posible y te apeteciera, sería estupendo poder contar con tu perfil, si surgiera algún texto en francés de interés para pasar al castellano. O incluso si quisieras proponer alguno de interés. ¿Qué te parece?.